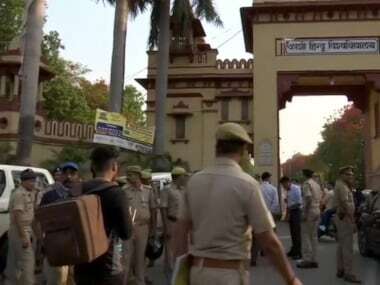 Varanasi/New Delhi: Prime Minister Narendra Modi will travel to his Lok Sabha constituency Varanasi on Friday for a two-day visit during which he will inaugurate several projects covering sectors like infrastructure railways, financial inclusion and sanitation. Among the highlights will be the flagging off of the Mahamana Express train which will connect Varanasi with Sura and Vadodara in Gujarat. "Tomorrow I begin my Varanasi visit, during which various development works will be launched," Modi tweeted on Thursday night. He said the Deendayal Hastkala Sankul, a trade facilitation centre for handicrafts, will be dedicated to the nation Friday. Other projects to be inaugurated include Utkarsh Bank which specialises in micro finance, 'Jal Ambulance' (wate ambulance) service and 'Jal Shav Vahan' (water-based vehicl for carrying bodies) service, the prime minister said in another tweet. The prime minister will unveil a plaque to mark the laying of foundation stone of the headquarters building of the Utkarsh Bank, the PMO said. 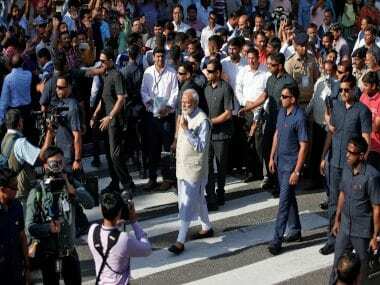 In the evening on Friday, Modi will visit the historic Tulsi Manas Temple in Varanasi. He will also release a postal stamp on Ramayana. He will later visit the Durga Mata Temple in the city. "I look forward to praying at the historic Tulsi Mana Temple and Durga Mata Temple. 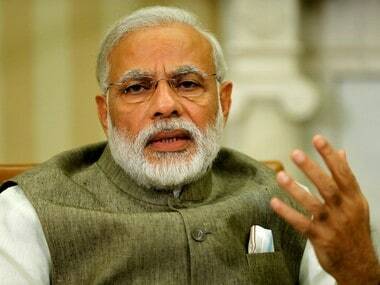 A postage stamp on the Ramayan will also be released," Modi said in another tweet. On Saturday, the prime minister will briefly participate in a sanitation-related activity in a village of Shahanshahpur. He will distribute certificates to beneficiaries of the Pradhan Mantri Awas Yojana (Rural and Urban) and address gathering on the occasion. Modi will inaugurate nearly 17 infrastructure projects including the Ramnagar-Samne Ghat bridge and the Balua Gha bridge, and lay the foundation of nearly six project including Ramna Sewage Treatment Plant (STP), said Sanjay Bhardwaj, the BJP's eastern Uttar Pradesh media in charge. 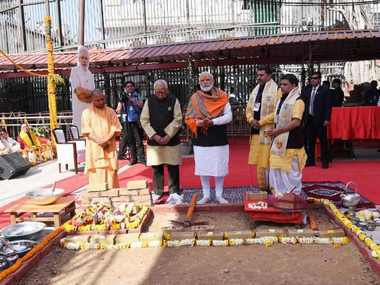 The prime minister will dedicate to the nation community kitchen ('Annakshetra') near the famous Kash Vishwanath temple, Varanasi Divisional Commissioner Niti Ramesh Gokarn said. On 23 September, Modi will inaugurate 'Pashu Arogya Mela in Shahanshahpur on the outskirts of the city. He will also address a gathering of farmers there. He will also distribute loan waiver certificates to some farmers, whose loans have been waived by the BJP-led Utta Pradesh government. According to the Union Water Resources Ministry, the Sewage Treatment Plant (STP) is "a major step forward i realising the dream of Nirmal Ganga under Namami Gang programme." In a statement, it said the STP with 50 million litres daily-capacity will be the first plant to be developed under hybrid annuity-public private partnership model. Under this model, the development, operation and maintenance of the STP will be undertaken by a special purpose vehicle at the local level. Forty percent of the capital cost would be paid during construction while the remaining 60 percent of the cost will be paid over the life of the project as annuities along with operation and maintenance cost expenses for the next 15 years the water resources ministry said. The work to construct, operate and maintain the 50 ML STP in Varanasi has been awarded to a consortium led by Essel Infra Projects Limited at an estimated cost of Rs 153.1 crore.